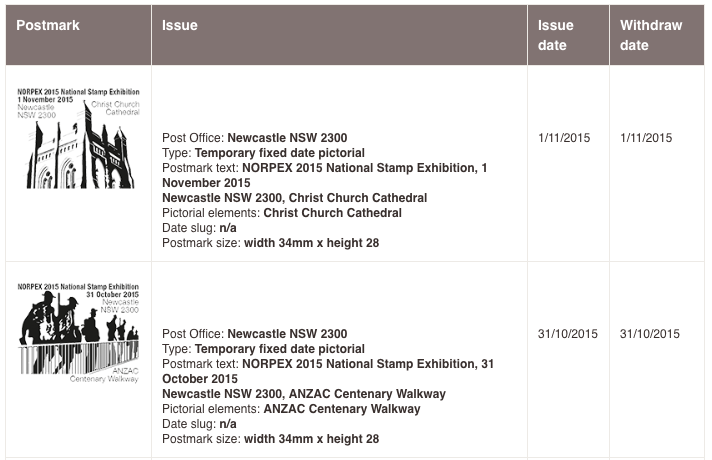 Collectors should have received their latest Stamp Bulletin by now. 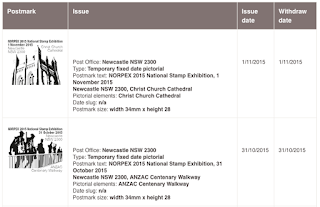 Unusually, Australia Post has not uploaded a PDF version to their website, or a copy to the Issuu website. What surprised me is the number of issues, and most issues are accompanied by a miniature sheet and/or self-adhesive booklets. Thankfully, none of these issues are released in a special format, though I wonder what the contents of the 'Long May She Reign' prestige booklet are. There is also no mention of this year's Christmas stamps, although they are released only 3 days after the Animals in Action issue. No doubt, Australia Post has saved the Christmas issues for the November-December Bulletin, but if you were cynical you might think putting the 'Signs of Our Times' (1 September) issue in the July-August Bulletin, and the Christmas issues (30 October) in the November-December Bulletin, to give the impression that there are fewer issues in September-October than there actually are. 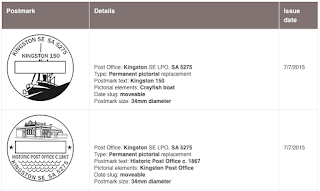 While we await the next Stamp Bulletin, issues for August to October have been announced (note: there has been some additions to those announced in the last Stamp Bulletin). Certainly a busy and potentially expensive time for collectors. Let's hope the price of most of the stamps is set at the domestic rate of 70c. 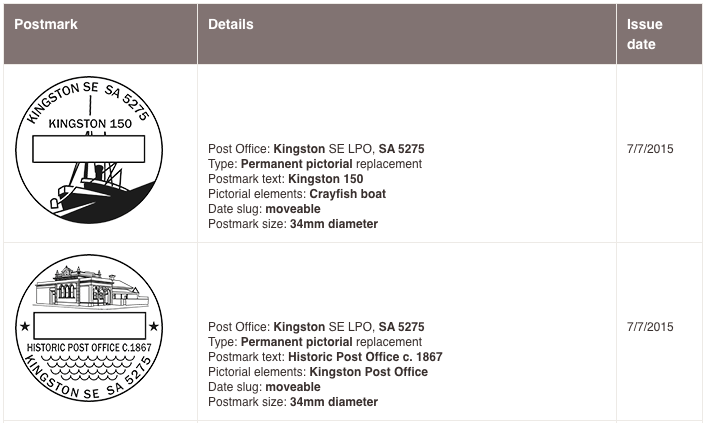 With the cessation of Colleen's catalogue of postmarks, let's hope this fills the gap, and Australia Post continues to supply collectors with such detailed information.